Siena is an active adult community with the feel of a luxury resort. Active adult communities throughout the nation have a lot to offer. At 55 Places, we have visited hundreds of age-restricted communities that include great amenities, lovely homes, and a vibrant lifestyle. There are numerous communities to choose from that meet the needs and wants of almost any desired lifestyle. Most people can agree that neighborhoods which include modern amenities like state-of-the-art fitness centers, expansive clubhouses, championship golf courses, and world-class restaurants provide a lavish setting. Our 2015 list of Luxurious Active Adult Communities, listed in no particular order, includes 20 of the most impressive age-restricted communities that we have personally visited. Our team selected this list based on tours of clubhouses, homes, and outdoor amenities. It was hard to narrow down just 20. Can you find a dream community for your lavish retirement lifestyle? Siena – Las Vegas, NV Siena is a 55+ neighborhood located within the master-planned community of Summerlin in Las Vegas. Its ideal location enjoys year-round warm weather conveniently located near exciting entertainment and nightlife of the famous Las Vegas Strip. Siena combines luxury and privacy with access to three separate recreational facilities. Whether it’s socializing at the 39,000 square-foot Community Center, working out in the 15,900 square-foot Health & Fitness Center, or teeing off at the 18-hole golf course – Siena has something for everyone. Del Webb at Ponte Vedra – Ponte Vedra, FL There are a variety of home styles available in Del Webb at Ponte Vedra to meet almost any budget. Active adults can find a condo, attached home, or single-family home without having to give up resort-style amenities. 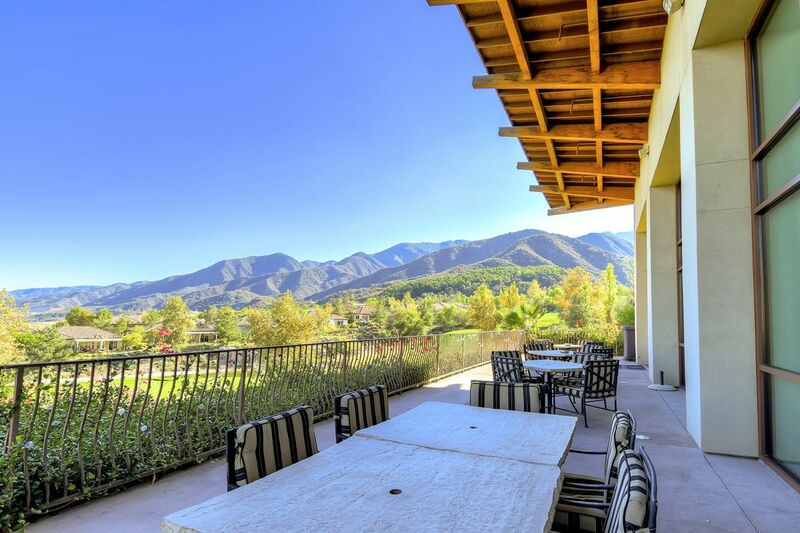 This gated 55+ community includes an exclusive 37,800 square-foot clubhouse that was built in 2011. It includes social spaces, fitness activities, and stunning outdoor amenities that span across 15 acres. Del Webb at Ponte Vedra is ideally located minutes from the gorgeous Atlantic Coast beaches too! Trilogy at the Vineyards – Brentwood, CA Shea Homes has brought their well-recognized active adult brand to Brentwood, California. Trilogy at the Vineyards is a beautiful age-restricted neighborhood that offers both new construction and resale homes in a scenic setting. It includes spectacular amenities like a 34,000 square-foot clubhouse and 27-hole golf club. Residents can pamper themselves at a full-service spa, partake in one of the many regularly hosted activities, or take advantage of the extra 30,000 square feet of outdoor amenities without having to leave the gates. Anthem Ranch – Broomfield, CO Anthem Ranch is an outdoor recreation and adventure lover’s paradise located close to mountains, ski resorts, hiking trails, lakes, and golf courses. The outdoor amenities include a 90-acre park and almost 50 miles of beautiful walking and biking trails. There is a 30,000 square-foot clubhouse that boasts fitness facilities, social areas, and on-site staff. Set near the foothills of the Rocky Mountains in Broomfield, Anthem Ranch caters to the interests and hobbies of active adults looking to retire in the very lively state of Colorado. 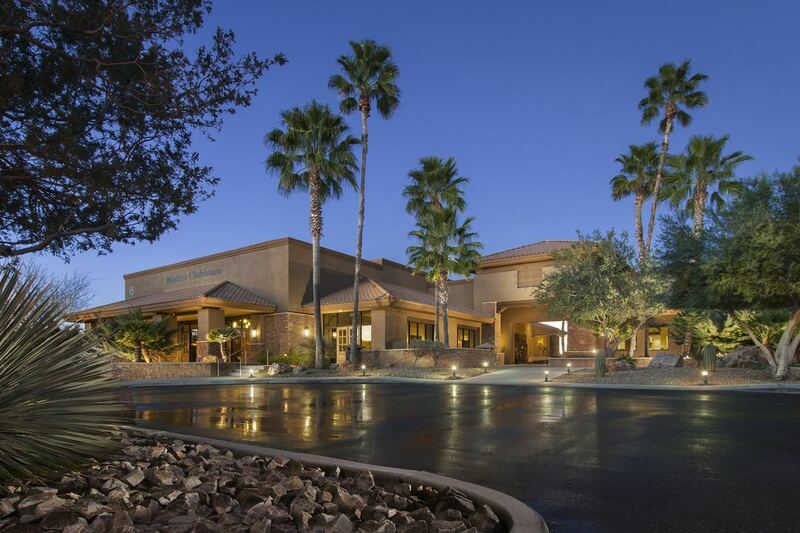 SaddleBrook – Tucson, AZ Developed by Robson Communities, SaddleBrook is a one-of-a-kind active adult community in Tucson that offers majestic mountain views and lavish amenities. It includes a country club-style 28,500 square-foot clubhouse, a performing arts theater, and two 18-hole golf courses. Unlike most age-restricted communities, SaddleBrook welcomes active adults aged 40 and better making it a great option for working adults and empty-nesters. 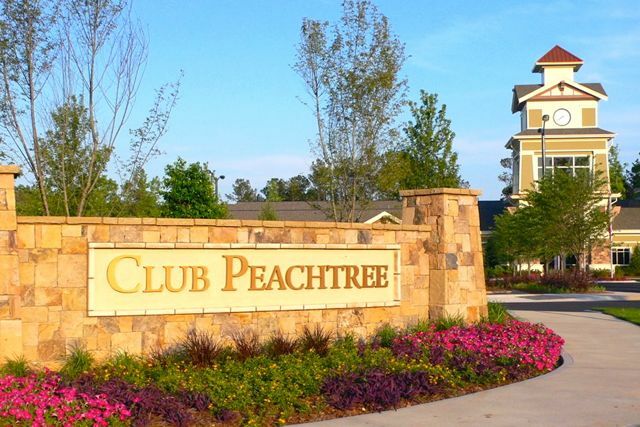 Club Peachtree is Sun City Peachtree's fabulous amenity center that opened in early 2009. Sun City Peachtree – Griffin, GA True to Del Webb’s reputation, Sun City Peachtree in Georgia offers low-maintenance homeownership and a vibrant social scene not far from Atlanta. Dozens of clubs, activities, and events are hosted in a spectacular 45,000 square-foot clubhouse. The grounds also include a golf club, sports courts, and miles of trails. Because of all that it has to offer, active adults from all over the United States call Sun City Peachtree home. Sun City Hilton Head - Bluffton, SC Sun City Hilton Head offers more than a clubhouse. It includes a 45-acre Town Center and Amenity Complex that hosts two restaurants, multiple fitness centers and exercise facilities, rooms for crafts and hobbies, and a performing arts theater – just to name a few great amenities. Del Webb designed this neighborhood of over 8,000 planned homes around golf courses, a 20-acre fishing lake, and miles of trails. Homebuyers can find a low-maintenance villa home or build a custom home of their dreams in the extravagant Sun City Hilton Head. Sun City Texas by Del Webb – Georgetown, TX Del Webb’s expansive 9,900-home community in Central Texas is an active adult playground. It is home to one massive 86,000 square-foot Village Center Amenity Complex and a second newer amenity center. Its rich assortment of amenities compliment beautifully designed low-maintenance homes. Sun City Texas lets residents enjoy a mild climate in a beautifully designed neighborhood setting. Sun City Summerlin – Las Vegas, NV Not only is Sun City Summerlin the first Del Webb community in Nevada, it’s also Del Webb’s largest active adult neighborhood in the state. Residents have private access to four clubhouses and an 18-hole golf course. There are multiple fitness centers, indoor and outdoor pools, several meeting rooms, and sports courts sprawled throughout 2,400 acres. Homeowners of Sun City Summerlin boast a remarkable lifestyle in a lavish setting with carefree homeownership. Valencia Falls – Delray Beach, FL Valenica Falls is a fabulous 55+ community for active adults in Delray Beach, Florida. Snowbirds and year-round residents both love this age-restricted neighborhood for its Mediterranean-style homes and private setting. Inside the gates of Valencia Falls there is a sparking swimming pool and amenity-filled 25,000 square-foot clubhouse. GL Homes has built many Valenica neighborhoods throughout Florida, making it easy to find a resort-style community that meets your price range requirement. Trilogy at Glen Ivy is uniquely surrounded by a forest and immersed in culture. Trilogy at Glen Ivy – Corona, CA Shea Homes built 1,317 homes within Trilogy at Glen Ivy between 2001 and 2008. It is a gated 55+ community that offers resale-only homes that were designed in many collections. You’ll often find residents at one of the four amenity centers. There is a lodge, sports club, lake center, and golf club available to homeowners. The amenities don’t stop there; there are outdoor patios, walking trails, and even an outdoor amphitheater. Sun City Festival – Buckeye, AZ Sun City Festival’s homes include desirable features in the perfect location. Situated in the Phoenix area, Sun City Festival offers new and resale homes to active adult buyers. An impressive inventory of homes for sale welcomes homebuyers aged 45 and better. Not only does Sun City Festival offer its residents a 31,000 square-foot clubhouse and 18-hole golf course, there’s a separate woodshop and craft studio. With a full calendar of events and activities, you’ll be sure to live the lifestyle of your dreams at Sun City Festival. Del Webb at Lake Oconee – Greensboro, GA Situated along the shores of Georgia’s second largest lake, Del Webb at Lake Oconee is a rare Del Webb community that is located on waterfront. Active adults looking for a waterside neighborhood in the South will love this 55+ community. Over 30% of the community has been preserved in its natural state and homesites are situated on larger-than-normal lots. This quiet oasis is away from the hustle and bustle of congested large cities but offers an endless amount of recreation and entertainment opportunities. Active adults will fall in love with this age-restricted lakefront community. Sun City Anthem – Henderson, NV Sun City Anthem offers a never-ending lineup of clubs and activities to fit the taste of almost any active adult. Del Webb designed this 7,144-home community with three large clubhouses and a golf club. The Reserve Golf Club is now one of the most premier golf clubs in the Las Vegas area. Its prime location draws in 55+ homebuyers with versatile homes and over 130,000 square feet of indoor amenities. Del Webb Naples – Ave Maria, FL Homebuyers don’t have to give up their lavish Southwest Florida lifestyle when purchasing a home in Del Webb Naples. Del Webb Naples offers reasonably priced homes and world-class amenities. It offers a great opportunity to downsize or find a low-maintenance yet attractive home. Active adults can easily switch up their daily routine by utilizing seven different facilities. There is a 36,000 square-foot clubhouse available exclusive to 55+ homeowners in Del Webb and plenty of amenities sprawled throughout Ava Maria’s master-planned community. Sun City Lincoln Hills – Lincoln, CA This Del Webb community claims the title as the largest active adult community in California. Sun City Lincoln Hills has two amenity centers that include over 108,000 square feet of indoor space. There are 19 trails, 36 holes of championship golf, as well as parks and a fishing area. There is even a restaurant and bar on-site, making it easy for residents to gather with neighborhood friends or host family members for dinner. In Quail Creek, residents enjoy an exciting lineup of amenities. Madera Clubhouse is the central hub for activities. Quail Creek – Green Valley, AZ Robson Communities is known for crafting the finest active adult communities and you can see Quail Creek has fulfilled their reputation. Green Valley in Arizona is a retirement playground and Quail Creek is one of the few communities in the area that offers new construction homes to buyers aged 40 and over. Its location in Southern Arizona offers mountain views and a year-round warm climate. Its envious lineup of amenities includes four recreation centers and acres of outdoor space, giving it true extravagant lifestyle. 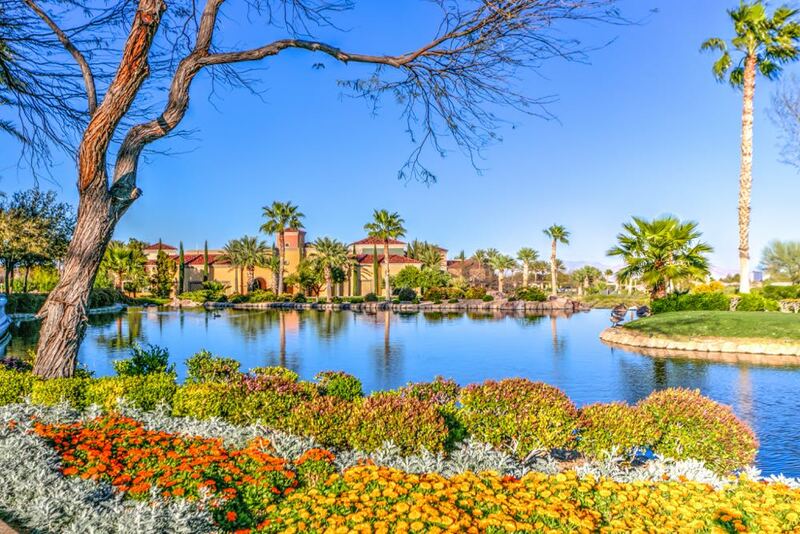 Sun City Shadow Hills – Indio, CA Located in the Coachella Valley, Del Webb’s Sun City Shadow Hills is a perfect retreat for retirees in Southern California. New and resale homes are available in a wide price range. There are two clubhouses that allow residents to stay socially active and physically fit any day of the week. Golfers will appreciate the 18-hole golf course and outdoor enthusiasts will love all thoughtful outdoor amenities that take advantage of California’s great climate. With so much do to inside of the gates of Sun City Shadow Hills, it’s easy to see why this is a sought-after 55+ community. PebbleCreek – Goodyear, AZ This Robson active adult community is planned to have about 6,200 homes upon completion. Homebuyers can find a new or resale home in an exclusive gated neighborhood setting. PebbleCreek has two golf clubs, two Creative Arts Centers, and a Sports and Aquatics Complex. PebbleCreek is a perfect oasis that combines a quiet location and vibrant social lifestyles among neighbors. Trilogy at Encanterra – Queen Creek, AZ If you’re looking for an exquisite country club setting that has a concierge, spa, and high-end dining, Trilogy at Encanterra has it all. Trilogy at Encanterra is located within the master-planned community of Encanterra Country Club. Not only do the homes for sale have curb appeal, the community boasts a brand new 60,000 square-foot clubhouse. Catering to the needs of buyers and residents, Shea Homes has combined maintenance-free homes, lavish amenities, and a resort-style lifestyle. Whether looking for a permanent residence or winter home, Trilogy at Encanterra has it all.